¡Aquí si aprendería a cocinar! Buscando inspiración para un nuevo proyecto, nos atravesamos con esta cocina diseñada por SuzAnn Kletzien Design y nos enamoramos! La combinación de piso de concreto con madera a 'medio poner', con el subway tile en los muros y las cubiertas de piedra natural, unidos por el color gris de los gabinetes, logran un diseño limpio y contemporáneo que nos tiene babeando. // Now THIS is a kitchen! 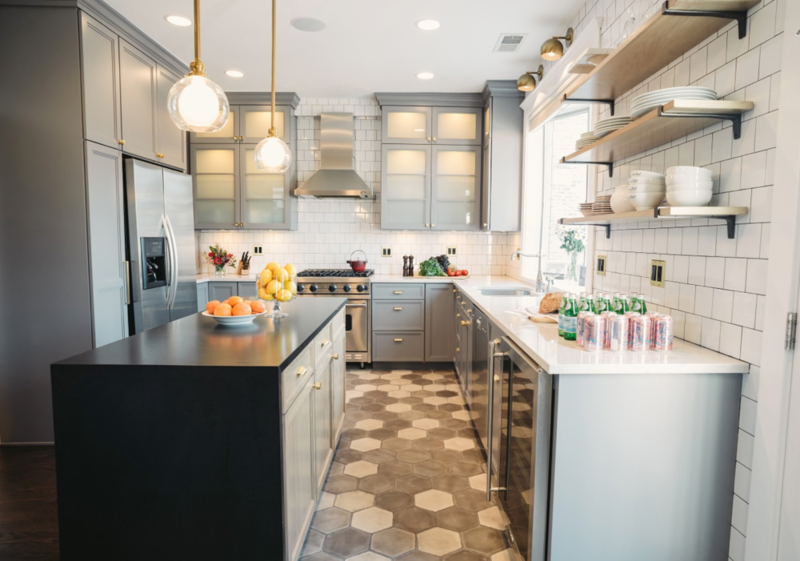 While browsing through our favourite design blogs to get inspired for a new project, we stumbled upon this gorgeous kitchen by SuzAnn Kletzien Design and we can't help but wonder if having this kitchen would help our cooking (!) Seriously though, everything is beautifully put together, from the flooring to the tiles to how it all comes together with that gorgeous gray.. I think we couldn't feel more inspired.